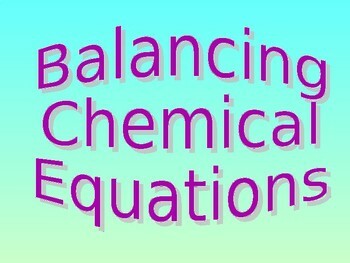 The “Balancing Equations” power point consists of 20 slides. It includes terms and concepts that describe the why? and how? 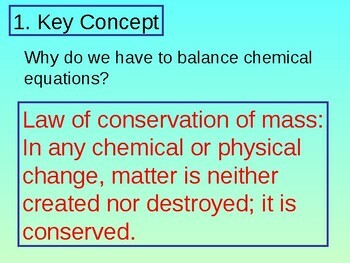 of balancing chemical equations. The last seven slides take students step-by-step through the process of balancing five equations. 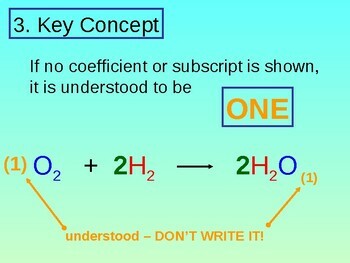 On these seven slides, students need to be instructed to keep their eyes on the chemical equations as you discuss the process. 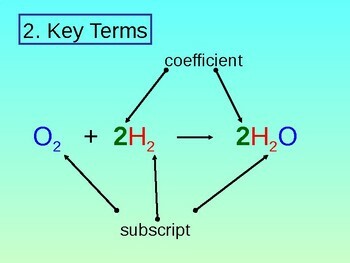 Otherwise, they may miss the balancing coefficients appearing in the equation.